Alexandria Duval's twin Anastasia Duval died in the May 2016 car crash in Maui. 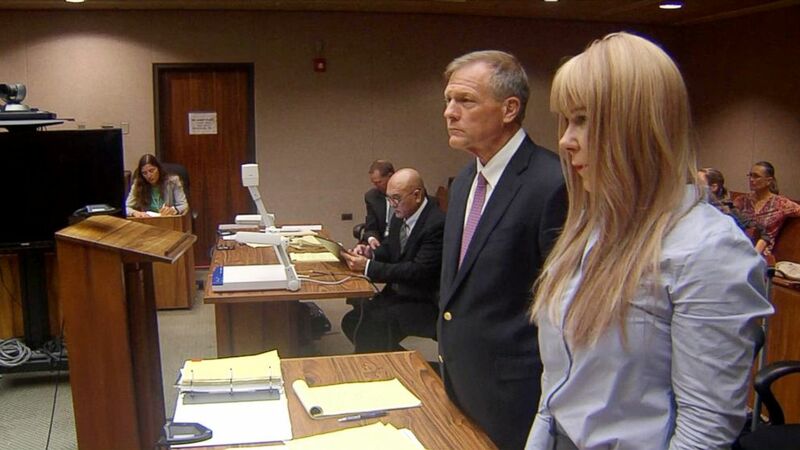 A woman accused of deliberately driving off a Hawaii cliff and killing her identical twin sister was acquitted of murder Thursday. Judge Peter Cahill found Alexandria Duval not guilty of second degree murder in the death of her twin Anastasia following a trial that began Monday. Alexandria Duval opted to have a judge instead of a jury decide the case. "I'm disappointed," Maui County Prosecuting Attorney J.D. Kim said after the verdict, according to the Associated Press. "The facts clearly show it was at least reckless behavior." Alexandria Duval, 39, left the courtroom without commenting, The Maui News reported. 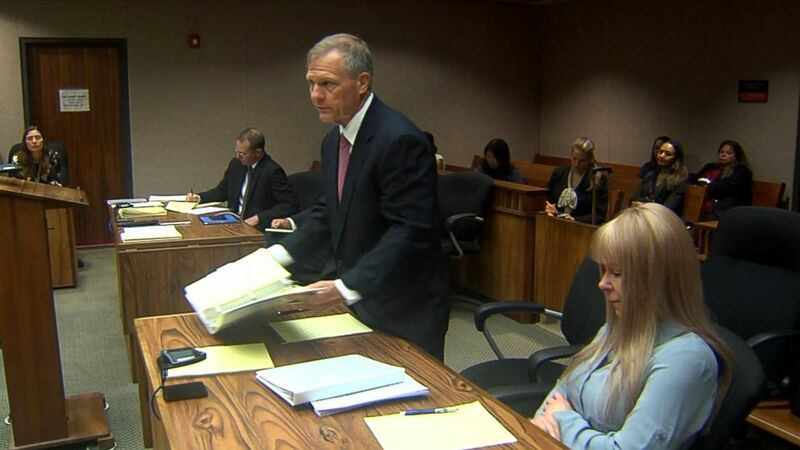 Her defense attorney, Birney Bervar, told the newspaper, "It's been an extremely emotional ordeal for her. You can't imagine losing your twin sister in that kind of catastrophic, tragic accident, then being charged with causing the death of your sister, which she didn't. She's extremely relieved." On May 29, 2016, Alexandria Duval was driving along the winding Hana Highway in Maui with her twin, Anastasia Duval, in the passenger seat when the car plunged off a cliff. Alexandria Duval survived the 200-foot fall, but her twin died at the scene. 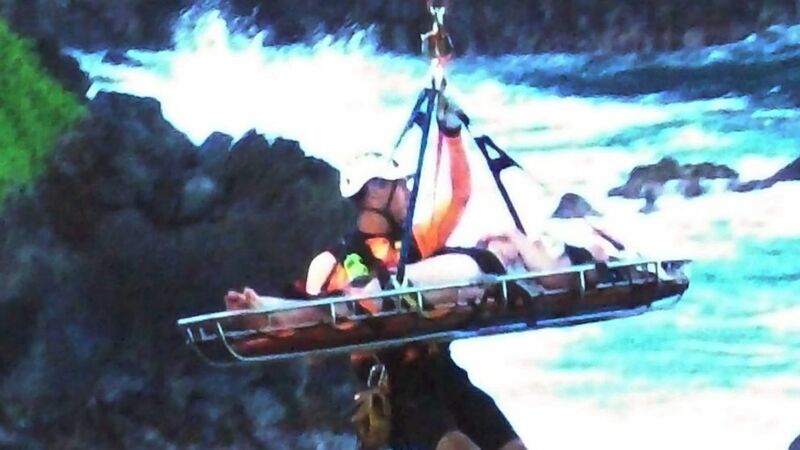 (Vicki Sawyer via AP, FILE) In this May 29, 2016 Rescue workers lift Alexandria Duval, who is also known as Alison Dadow, from the bottom of a cliff on Maui's Hana Highway in Hana, Hawaii. The sisters, born Alison and Ann Dadow, ran popular yoga studios in Florida before changing their names, according to The Associated Press. They moved to Hawaii in 2015. Maui deputy prosecuting attorney Emlyn Higa claimed Alexandria Duval "intentionally or knowingly" drove off the cliff. Bervar, however, called the deadly car crash a "tragic accident, not murder." Here is a look back at the trial, which began on Monday. Prosecution witness Chad Smith testified that he saw the two women in the car on the road and that it appeared they were "arguing" with their hands up, angry, and yelling at each other. Prosecution witness Randolph Castro said he was driving when through his rear-view mirror he saw the twins fighting in their weaving SUV. Dean Warniner testified for the prosecution that he heard screaming coming from someone other than the driver. During cross-examination, asked if the driver in the twins' SUV smiled at him and if the voice from the passenger side sounded angry, Warniner confirmed both. 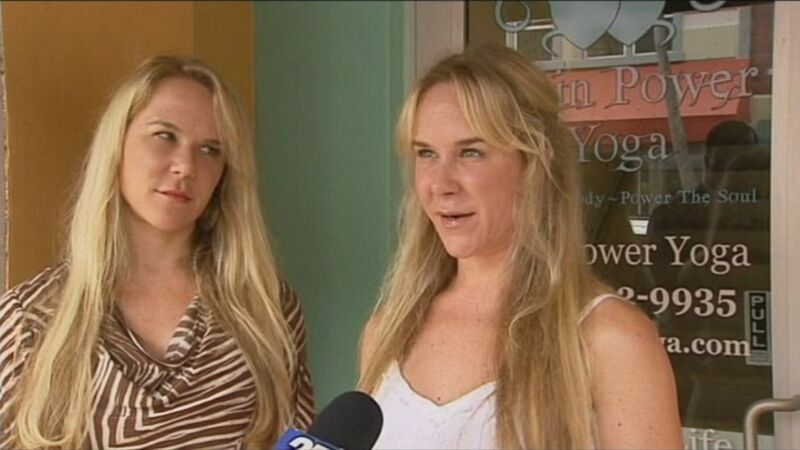 (WPBF) In this undated file photo, Alexandria Duval and her identical twin sister, Anastasia Duval, are interviewed in front of their former yoga studio. Witness Joseph Toleafoa testified for the prosecution, describing how he was in a van for a Boy Scout trip when he saw the twins fighting in their SUV. He claimed the twins' SUV sped up and that’s when it went over the cliff. During cross-examination, Bervar asked Toleafoa whether he had to turn around to see what was happening once the SUV passed them. Toleafoa said he looked back only after he heard the twins' SUV engine rev and then he saw the driver and passenger still fighting and the passenger pulling the driver's hair as she fought her off. When the SUV took off, it made a sharp left and went over the cliff, Toleafoa said. (Pool/ABC News) Alexandria Duval, 39, charged with second-degree murder for the car crash that killed her sister, appears at her trial in Maui, Hawaii, Jan. 29, 2018. 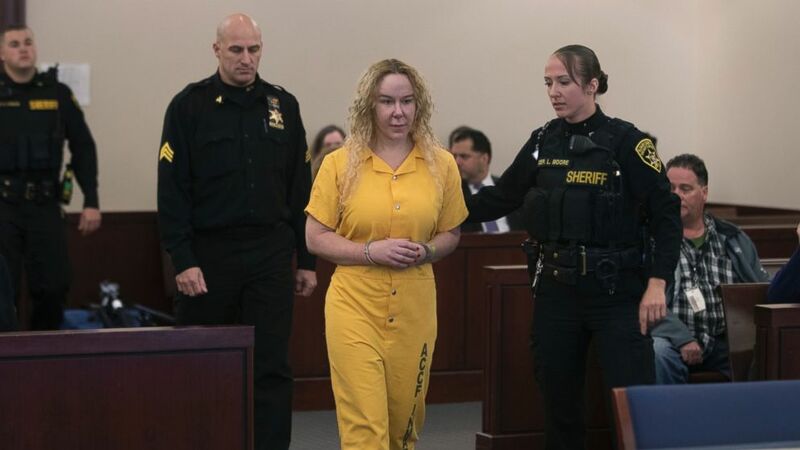 Prosecution witness Kaisa Tevaga, who was also in the van, testified that the twins' SUV had on flashing lights as it stopped and blocked the tight, narrow road. Tevaga said the passenger was pulling the driver's hair and the driver was crying as their van moved by. Laurence Lau, who was driving the Boy Scout van, testified for the prosecution that he could see hands from the passenger side pulling the driver's hair and jerking her head. Lau said the driver was fighting her off with her hands. Lau said he pulled the van off to the side to allow the SUV to pass, and when it did, he could see the drivers' hair still being pulled. Maui police officer Lawerence Siville, a prosecution witness, said marks left on the road were consistent with the SUV making a sharp left with hard acceleration over the cliff. Defense witness Wayne Slagle, an accident reconstruction expert, claimed that the cliff drop wasn't visible from the road. Slagle said one must stand at the edge and look over a short wall to see the major drop. Slagle said the berm -- raised dirt which can act as a ramp -- was responsible for the sharp left turn made by the SUV that sent it over the cliff. Slagle said there’s evidence that the driver had the steering wheel to buffer her from hitting the windshield, while the passenger hit the roof and was tossed into the back seat when the SUV rolled. Asked if this was consistent with someone accidentally hitting the gas when they wanted to hit the break, Slagle replied that he thinks it's consistent with someone trying to put on the breaks and not hitting the gas with enough speed to go over a rock wall. (Mike Groll/AP Photo) Alexandria Duval walks into Albany County Court, Nov. 18, 2016, in Albany, New York. Maui Police Officer Justin Mauliola testified for the prosecution that he was called to the hospital to ask Alexandria Duval for her next of kin to notify the family of her sister's death. He described Alexandria Duval as “hysterical” but “not crying” and said she “showed lack of emotion.” He said he was also close enough to detect the smell of alcohol on her. Mauliola said he also spoke with Lonnie Dickerson, the man living with the twins, who was listed as the registered owner of the crashed SUV. When Dickerson was brought to the hospital room, Mauliola said Alexandria Duval told Dickerson to shut up and that he was talking too much in front of the police. On cross-examination, Bervar asked Mauliola if Alexandria Duval was “hysterical” with disbelief that stemmed from the shock of hearing her sister was actually dead. Anastasia Duval’s boyfriend, Federico Bailey, who lived with the sisters, testified for the prosecution that the twins fought "quite often" and "fought like men." "There were punches," Bailey said, adding that it "seemed like they had martial arts training." (ABC News) Alexandria Duval, 39, charged with second-degree murder for the car crash that killed her sister, at her trial in Maui, Hawaii. Bailey and the sisters went camping the night before the fatal crash. He said he and Anastasia Duval wanted to go camping alone and keep it a secret from Alexandria Duval, but her sister ended up coming, which he said his girlfriend wasn't happy about. The girls physically fought for five minutes on the trip, he said. After the crash, Bailey said Alexandria Duval asked him to help her wash her hair, and that after she showered, she put on her twin's clothes. Bailey also said Alexandria Duval seemed to enjoy asking him to go with her to identify the body. During cross-examination, Bailey confirmed he met Anastasia Duval 35 days before she died. He said he lived in Anastasia Duval’s Porsche convertible after her death until police took the vehicle. When asked what he did for a living, Bailey said he was a "minister" and "is his own church." He said he “depends on Jesus Christ to provide for him” so he doesn’t have to earn money. Bailey said he was living in his Jeep when he met Anastasia Duval and she invited him to come and live with her and her sister. Bailey said on the camping trip Anastasia Duval asked him to introduce her sister to people because she felt lonely. After Bailey finished introducing Alexandria Duval and left her behind with some friends at another campsite, he said he returned to their campsite and discovered Anastasia Duval talking to another man, leading to a fight. The next morning, Anastasia Duval was still upset with Bailey, he said, and at some point the sisters took the SUV to drive to a bathroom and left Bailey at the campsite. He said the two were gone for four hours. When the twins returned, they later drove off again, leaving Bailey behind, he said. This was the last time Bailey said he saw Anastasia Duval.